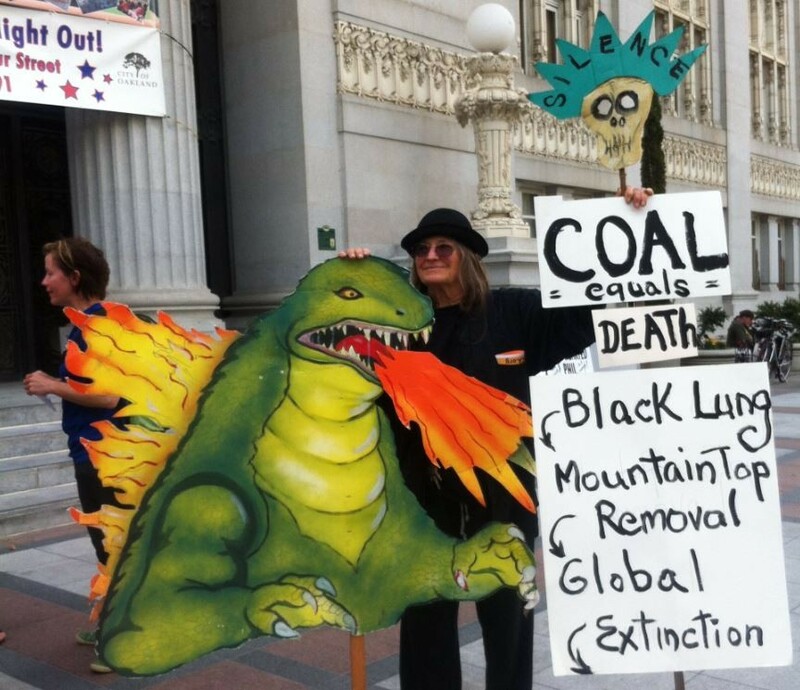 Protesters rallied against coal outside Oakland City Hall on Tuesday. Last week Oakland Councilmembers Dan Kalb, Rebecca Kaplan and Larry Reid scheduled a hearing for September 21 about proposed exports of coal from a planned marine terminal at the Oakland Army Base development site. On Monday state Senator Loni Hancock and Assemblymembers Rob Bonta and Tony Thurmond published an oped opposing coal shipments from Oakland in the Chronicle. And on Tuesday about 200 protesters demanded a ban on coal shipment during an Oakland city council meeting. All this opposition to developer Phil Tagami's plan to export coal from Oakland is “the result of two or three months of intensive grassroots organizing,” said Ray Kidd of West Oakland Neighbors. Kidd’s group recently joined more than 80 organizations, small business owners, and public officials by signing onto a Sierra Club letter opposing coal shipments through the new Oakland Bulk and Oversize Terminal (OBOT), a port facility that is being built on the site of the old Oakland Army Base. More than 10,000 individuals have also signed a letter of opposition. “We’ve had teams of two to five people visiting city council members, meeting with staff, meeting with members of the Alameda County Transportation Commission, county supervisors and state legislators,” said Margaret Gordon, a longtime West Oakland environmental activist, about the growing movement. Plans to export coal from Oakland first surfaced last spring when the Utah Permanent Community Impact Fund Board tentatively committed $53 million in funds to the OBOT in exchange for the right to use about a third of its capacity for exporting Utah coal, and purportedly other commodities like potash and hay. Oakland Army Base developer Phil Tagami, in a written public statement, claimed the city had no authority to stop coal exports, since it had already signed a contract authorizing the project. More recently, however, after discussions with environmental organizations and West Oakland residents, Kalb and other city council members have stated that they may stop the coal plan if they find that it harms Oakland residents’ health and safety. City councilmembers said they are now lining up experts to testify at the September hearing. Gordon said that coal dust from trains passing through the West Oakland neighborhood would “add to the health burden of our community.” She pointed to studies showing that coal dust increases the risk of heart and lung disease, including asthma, which is already common in West Oakland. Jerry Bridges, CEO of Terminal Logistical Solutions, LLC, which will operate the terminal, said the planned coal shipments through Oakland would not endanger residents’ health because the coal will be shipped in covered cars and unloaded inside port buildings. Gordon is not convinced. “They haven’t presented any plans, any engineering information,” she said. “They haven’t showed us where it’s been done. They haven’t come and talked to the community about it.” In fact, said Jess Dervin-Ackerman of the Sierra Club, no coal is currently being shipped in covered cars anywhere in the US. Tagami said in a statement that he is not involved in decisions about what will be shipped through the terminal because TLS will manage the facility. 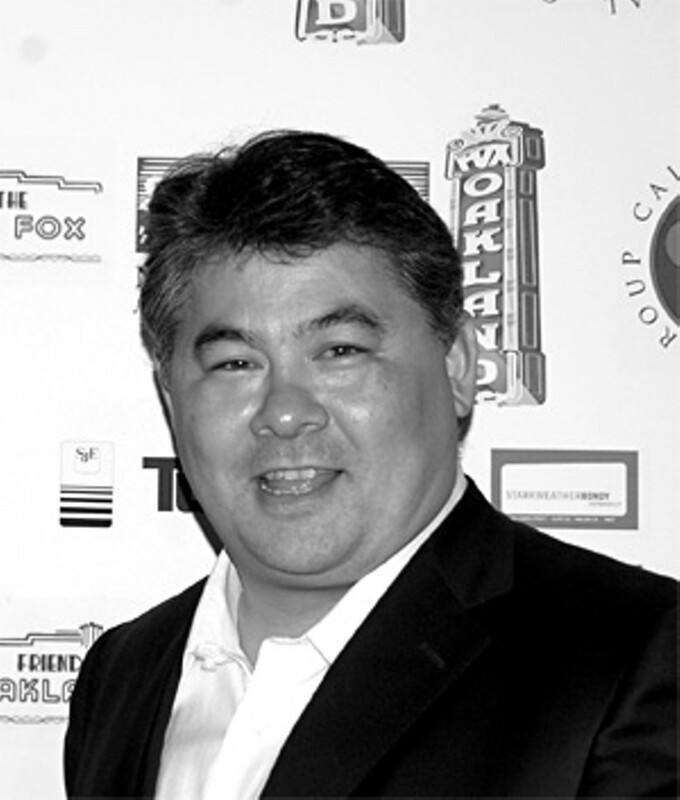 But correspondence obtained by the Sierra Club from the city of Oakland and Port of Oakland through the California Public Records Act shows that Tagami is busy behind the scenes working to counter public opposition. In a much-publicized exchange, Oakland Mayor Libby Schaaf emailed Tagami about the plan to export coal, writing “Stop it immediately!” Tagami responded with a request that Mayor Schaaf make no more public statements until they meet. Oakland Councilmember Rebecca Kaplan, who also a member of the Alameda County Transportation Commission (ACTC), has scheduled a hearing to consider whether the ACTC should ban coal from the projects it funds. “We expect an application from the city and port to improve freight connections [to the Oakland Army Base],” Kaplan said. Kaplan said if other public agencies involved in the Oakland Army Base project, including the state of California, would take similar steps, it could stop the coal export plan. Some opponents point to Governor Jerry Brown’s recent statement at the Vatican than 90 percent of the Earth’s coal must remain in the ground to prevent climate catastrophe.